Made for toddlers by DANSHUZ. 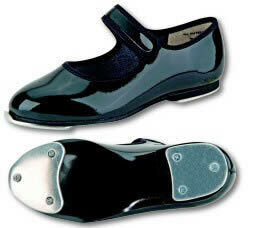 Black patent leather, taps attached, Velcro closure. Suggested Fit: Order a 1/2 size bigger then your Childs street shoe size.